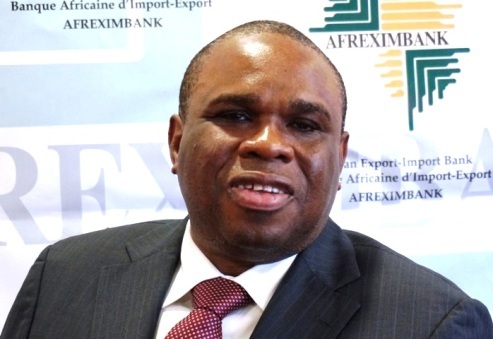 LAGOS MARCH 18TH (NEWSRANGERS)-Professor Benedict Oramah, President of the African Export-Import Bank (Afreximbank), Cairo, Egypt, is expected deliver The Bullion Lecture 2019. Professor Oramah who is also Chairman, Board of Directors, Afreximbank, currently serves on the Practitioner Advisory Board of the Institute for Trade and Innovation of Offenburg University, Gengenbach, Germany. He is also a member of the Emerging Markets Advisory Council of the Institute of International Finance, and an Executive Committee Member of the Factors Chain International. Professor Oramah eqaully serves on the Editorial Board of the Journal of African Trade. Professor Oramah will be speaking on Leveraging The African Intercontinental Free Trade Agreement for Nigeria’s Economic Development. The Bullion Lecture, a platform conceptualised by Centre for Financial Journalism (CFJ Nigeria) for lively discourse on national and international issues, is always delivered by first-rate academics or professional. The 2019 edition of The Bullion Lecture will hold 10am on Tuesday, March 26, 2019 at The Civic Centre, Ozumba Mbadiwe Avenue, Victoria Island, Lagos. According to a press statement issued in Lagos by Ray Echebiri, Founder/Chief Executive Officer of CFJ Nigeria, the Lecture will be chaired by Dr. Uche Olowu, President/Chairman of Council, The Chartered Institute of Bankers of Nigeria, while Honourable Minister of Finance, Mrs. Zainab Ahmed will be the Special Guest of Honour. Distinguished panelists who will dissect the lecture are Mr. Muda Yusuf, Director General, Lagos Chamber of Commerce and Industry; and Mr. Ade Adefeko, Vice President, Government and Corporate Affairs, Olam Nigeria. Expected guests at the lecture include government officials, captains of industry, banking industry executives, members of the diplomatic corps, representatives of multilateral institutions, senior media executives and other journalists, and members of the public. CFJ Nigeria, organisers of The Bullion Lecture, was established to provide specialised training programmes in financial journalism with a view to addressing the knowledge and skills gap in the practice of the trade, and to conduct research on financial journalism, business, the economy, development and banking and finance.